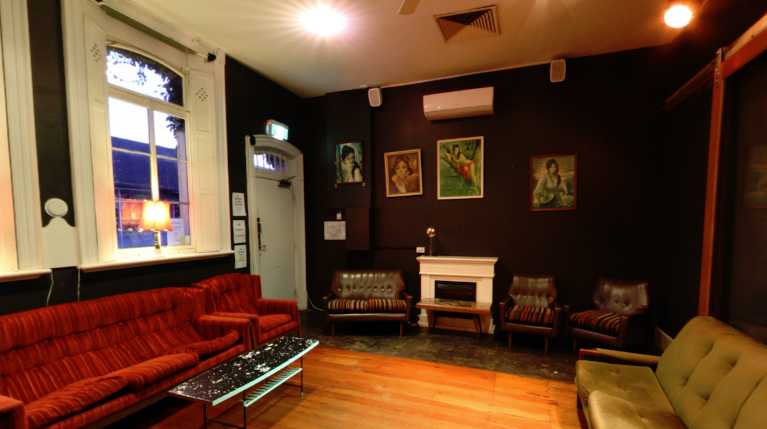 The Hippy Room is a small and cosy private function room located at the front of the venue. It looks out over the busy Little Malop Street, and is ideal for casual functions. The room has unique character with the antique furniture and chandelier. There is a plasma screen for the use of guests also. It offers a great private space for guests, as it is a private room yet still close to the entertainment and atmosphere of the main room located nearby.